2017 Dodge Charger: Yes or Yes? Each Charger option is certainly unique in its own way. Depending on what you are looking for in a vehicle, Dodge has really out done themselves with the new 2017 Dodge Charger. 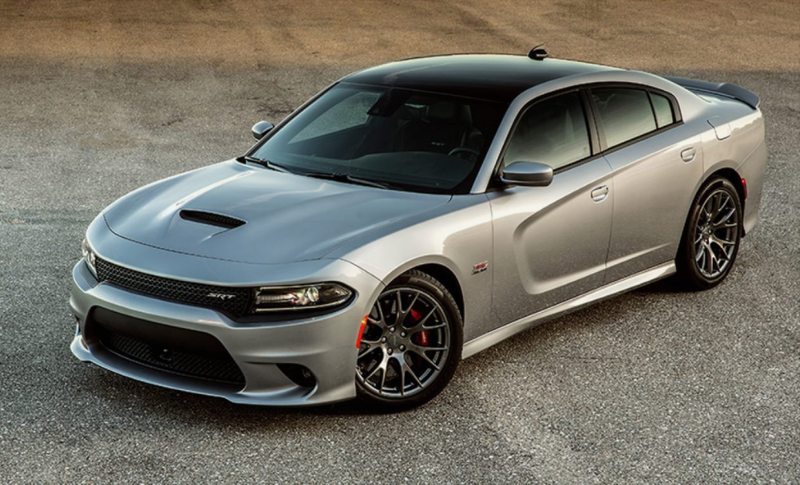 For the purpose of this blog, lets just look at the base package (Dodge Charger SE) and the premium package (Dodge Charger SRT Hellcat). 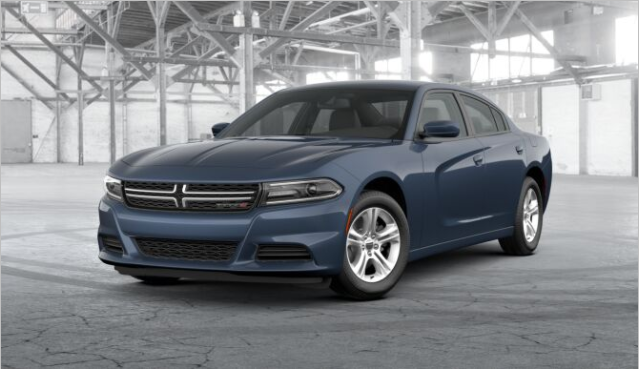 Diving in, the Dodge Charger SE is equipped with a 292 HP 3.6L Pentastar V6 Engine. To give it an added feel, it has an available LED Racetrack Taillamp. Pretty unique feature that certainly says to any viewer: Charger. One would be proud with the miles per gallon, as the Dodge Charger SE can get up to 30 mpg on the highway. If you happen to be pretty particular about color, no need to worry, as Dodge has unveiled 13 different color options for the Dodge Charger SE. This is a 5 passenger vehicle with an automatic 8-speed transmission. The Charger has plenty of space in both the front, rear and trunk of the vehicle so you will not have to worry about finding extra space for the kids or groceries. As for the interior of the Dodge Charger SE, it comes standard with cloth seating. Now, if you wanted to upgrade to leather, you can have one custom ordered through your local dealer. In regards to stereo options, the Charger SE has an available Uconnect 5.0 that features a 5-inch touchscreen, an AM/FM radio, available SiriusXM Satellite Radio with one year of service, Bluetooth streaming audio, voice command, hands-free calling and voice text reply (not compatible with iPhone mobile devices). Right away one will notice the different front-end style and wheels on the SRT Hellcat compared to the Charger SE model. What you may not see but probably already know is the difference in performance. 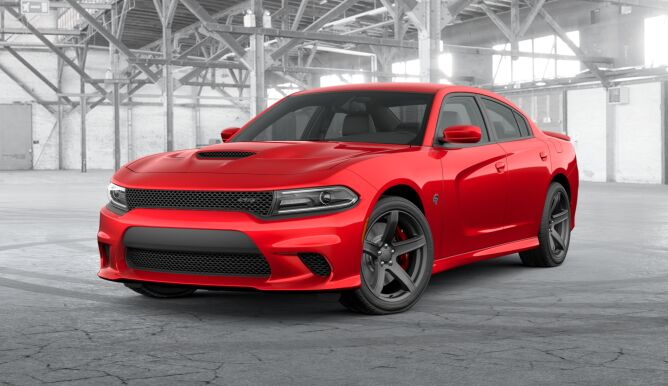 The Dodge Charger SRT Hellcat comes with a 707-HP 6.2-liter V8 HEMI Supercharged Engine that delivers unrelenting power to muscle your way past the competition with a top speed of 204 mph. Combine that with Dodge’s TorqueFlite 8-Speed Automatic HP90 Transmission to give yourself some quality control and excellent performance amongst all conditions. Also available, the SRT Hellcat gives you an option for an engine block heater. The engine block heater warms the engine and engine oil to make it easier to start in cold weather and reduces startup wear. One can order this directly from dodge for $95. If you find yourself in cooler climates, this is certainly worth the money. Moving to the interior, the Dodge Charger SRT Hellcat has an available driver information digital cluster display. The massive display gives you instant information on performance, available Navigation and vehicle status. Plus, you can easily customize the display with steering wheel-mounted controls. Speaking of displays, one can also enhance their digital experience with the available Uconnect 8.4 system which includes voice recognition and available Dodge Performance Pages. Of course, being the SRT Hellcat, one can expect a performance-inspired shifter. The TorqueFlite eight-speed automatic transmission has a fully electronic shifter that looks and feels like a traditional linkage shifter, while providing the benefits of electronic shifting. As for interior, you have a choice between 12 unique trim interior styles. Highly recommend checking out their interior options located directly on Dodge’s website. Keep in mind, Dodge offers available heated and ventilated seating for the front. All in all, the amenities associated with the 2017 Dodge Charger are certainly nothing short of astounding. Combining luxury, comfort and a smooth ride; one is certainly going to be pleased with the overall rating of the 2017 Dodge Charger. In our opinion, it is a no brainer, the Dodge Charger is a great choice for families or hot rod enthusiasts. Stop in today at Sorg Dodge for more inquiries. No time to make it in to the office? No worries. You can always contact us via phone: 574.533.8605 or email us for more information. We have several qualified product specialists here ready to answer your questions. 0 comment(s) so far on 2017 Dodge Charger: Yes or Yes?